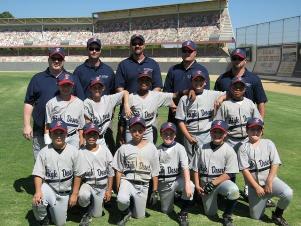 You're Invited To Receive 71 Brand New Baseball Coaching Drills... For Just One Dollar! Then, please -- stop whatever you're doing and listen closely. This could be the most important letter you'll read all year!Here's why. And All It Will Cost You Is A Measly Buck! This is going to get your coaching juices flowing like never before, and - once you learn these secrets - you'll be chomping at the bit to get out on the field and try this stuff with your team. Now… you're probably saying to yourself right now "what's included in this package?" and "why on earth is Coach Kenny giving away all this stuff for just one dollar?" Both good questions. And probably what I'd be asking myself right now if I were reading this letter. 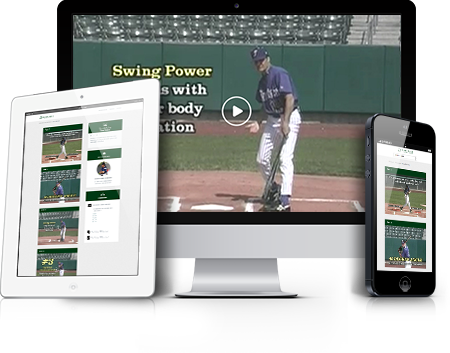 I'm going to walk you through everything that's waiting for you… all 4 video clinics packed with stunningly effective baseball drills and coaching tips… with no strings attached. There's no "fluff" here. And no beating around the bush. In each one of these videos, you're getting a world-class coach with a proven track record of success... blowing the lid off his favorite "insider" techniques and strategies for better baseball. And there's no need to waste time experimenting with unproven strategies. Everything you'll learn has been pre-tested and approved by other Baseball Inner Circle members. Simply watch these videos… teach the techniques to your kids (we'll show you how, using simple breakdown drills and step by step instructions)… then sit back and watch while your team dominates your competition and racks up more wins than you ever thought possible! Okay, you're probably hungry for some more details... so let's go through each of these videos one by one. Your first instructor in this incredible package is none other than Steve Cramblitt... ABCA National High School Coach of the Year... and probably the country's number one authority on hitting mechanics for youth and high school players. In just 14 years as a head coach, Cramblitt has captured a staggering TEN state championships, rolling to more than 362 victories along the way. Over the years, he's developed an incredible "training blueprint" that produces high quality hitters season after season. And after almost 2 decades of testing and tweaking, he's finally blowing the lid of his system and revealing it to the world! How to create "dynamic balance" with a simple belly button alignment trick. This technique transfers power from the legs, through the core and into the arms and bat... for a silky smooth swing that sends the ball a mile! How to control the speed, distance, and direction of a bunt. Simple coaching strategies that work for every level! And a lot more. Click on the button below to access this complete video (plus 3 more) now! It's only a buck! This next video comes to you from NCAA coaching legend Bob Bennett... one of the most accomplished (and respected) guys to every set foot on a baseball field. In 34 years at Fresno State, he posted an incredible 1,302-759 record... the 7th most wins in college baseball history! Bennett guided the Bulldogs to a mind-boggling 17 conference championships and 21 NCAA Tournament berths... took two different teams to the College World Series... and won 14 Coach of the Year awards along the way. But where he really earned his respect was on the pitcher's mound. Over the years, he developed an incredible knack for breaking down pitching mechanics, spotting errors, and using laser-targeted drills to get rapid improvements. Get this -- of the 35 Fresno State players he's sent onto the Major Leagues, a full 19 of them were pitchers! Inside "Baseball Pitching Drills" Bennett reveals his complete system for pitching success... over 25 amazingly effective drills for developing an explosive fastball, pin-point control, and supreme confidence on the mound. And much, much more. Click on the button below right now to get instant access to all 4 videos - right over your computer screen! Also by Steve Cramblitt, "Top 10 Hitting Drills" is the perfect complement to your Total Hitting video. Inside, you’ll discover the ten most effective drills for developing bat speed, pitch perception and power. 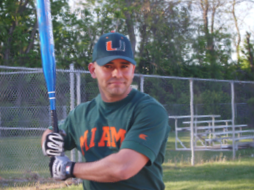 You’ll also learn exactly how to structure your batting practice sessions, including specific guidelines for sets, repetitions, and drill variety. Click on the button below to get instant access to this video, plus 3 more! Your investment is just one dollar! Your fourth video comes from Jeff Mercer -- professional MLB scout and a former championship coach at the high school and college levels. It's jam-packed with 17 all-new, stunningly effective drills and techniques for throwing, catching, fielding, hitting and baserunning. Everything you need to run a successful practice and build fundamental skills with your players. And it's all explained with step by step instructions and live demonstrations by real youth and high school players… so the entire system is simple and easy to learn. That's Over 3 Hours and 14 Minutes of Pure, Powerful Baseball Coaching Gold Delivered Right Over Your Computer or Mobile Device - Just 30 Seconds From Now! It doesn't matter if you're a rank beginner who's never stepped on the field before… or if you've been coaching baseball all your life… I guarantee you'll find loads of all-new, stunningly effective drills that will immediately and permanently transform your baseball team into a dominating powerhouse! Click on the button below to get all 4 videos for just one dollar! As soon as you sign up, you'll be directed to our Baseball Inner Circle members area, where you can instantly access all 10 videos right over your Internet connection. Everything is mobile ready and compatible with any device. You can watch the videos on your laptop, tablet, or smartphone, from anywhere in the world with an Internet connection. Okay, you're probably wondering, what's the catch? Why The Heck is Coach Kenny Giving Me $159.88 Of Killer Baseball Coaching Information For Just One Dollar? It's really quite simple! I'm trying to get you "hooked!" That's right. I'm shamelessly attempting to get you "addicted" to my Baseball Inner Circle program. Look, if the videos are as good as I say they are… if you really do see the immediate and permanent improvements in the way your team plays, you'd be silly not to continue, right? But on the other hand, if these videos don't deliver the goods, we don't deserve your money. It's as simple as that. This way you're the judge, jury, and - if need be - executioner. To claim your package, all you have to do is click on the button below. There is a one-time charge for hosting and bandwidth of $1.00. THIS IS FOR EVERYTHING. Frankly, you've got to experience the videos for yourself because anything I say just doesn't matter until you try it. If you enjoy the videos and want to remain a member of Baseball Inner Circle, I'll send you a brand new baseball coaching online video clinic every 30 days. I've reviewed hundreds of coaching videos and personally selected the hottest topics from the best coaches on the planet... all geared to save you time, improve your players skills and help you win more games. Once you see how much better your team plays… and how much easier and more enjoyable your coaching job is, we'll simply automatically charge you the lowest fee for ongoing Baseball Inner Circle membership - only $29.95 per month. It's a fun, convenient way to get new drills, new strategies, and new coaching tips sent directly to your desktop. So your players will never get bored of the "same-old" practices... and you'll stay one step ahead of your competition throughout the entire season. If, at any time, you feel like you're not getting the results I’ve promised, just email me at support [at] baseballinnercircle.com and say "cancel" and it's done. There are no hassles, no questions, and definitely no hard feelings. Even if you decide to accept the 10 videos for a buck, and nothing else after that. Okay... There Is One "Catch"
If you're going to become a member of my Baseball Inner Circle, and I'd LOVE to have you in it, there are two conditions you'll have to meet. You have to commit to using these strategies with your team this season. I’m 100% confident that when you try this stuff, the game will become easier, you'll win more often… and you’ll have more FUN coaching than you ever have before. But you need to actually use these techniques in order to see the results. I'm not trying to be mean or harsh. But the purpose of this offer is to help you achieve the success your team is capable of… and only 100 new members are allowed in each month. So I’d prefer not to waste the slots on those who won’t actually use the information. You have to be ethical and a good sport. The techniques you’ll discover inside Baseball Inner Circle are so incredibly powerful and effective, you're going to utterly dominate some teams in your league. So you have to promise that you'll maintain the highest standards of professionalism and sportsmanship. That means no running up the score… no showboating… and no trash talking. If you can meet those 2 conditions, I’d be honored to have you accept these 10 videos and test drive my Inner Circle program. Simply click on the button below and you can get started immediately! But please, don’t hesitate. My accountant thinks I'm absolutely nuts to try an offer like this... and one of my business partners has already threatened to toss me in the loony bin. In the end, he (reluctantly) agreed to allow this offer for just 100 new members each month. Any more than that, and I could really lose my shirt. After those slots are gone, I have no idea if or when we’ll ever make this offer again. If you come back tomorrow, the limit could be filled and the offer closed. So don’t go back to checking your email or surfing the web. Click on the button now to claim your gift today. It could be your only chance. Your program is simple, but effective, and at a fair price. 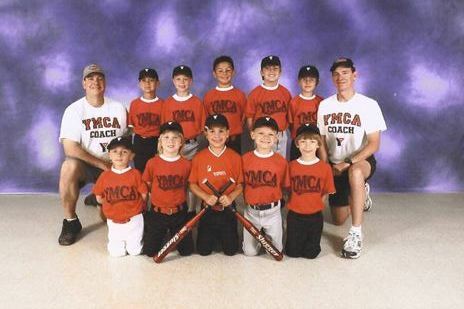 They helped keep us focused throughout the season and keep the kids in the game. We finished the season at 17-2 and won the championship! With your help, we went 8-0 this season. And that was with 1st and 2nd graders playing on 3rd and 4th grade level! Ever since I came across your site, I’ve had more successful practices. My players are more receptive. Practices are fun and players want to stay. My team has only been together for 30 days and we played our first tournament and we were 1 game shy of going to the championship game. Nobody Expected this. I thank you for the tools you have provided me and my team.